The Residence Collection was born and developed in Great Britain and consists of a luxurious assortment of premium window and door systems. The full product suite (Residence 7, Residence 9 and Residence²) is available via an extensive national network of approved installers who are well accustomed to integrating the products to an exceptionally high standard. Residence 7 will be the bit of inspiration you need to transform your property. Flush internally and externally, it is supplied in a host of lasting finishes and multiple styles, testament to the flexibility of this outstanding design. R7 is in a class of its own compared to rival systems, boasting an elegant 7-chamber design and various exclusive features. Having that stunning flush sash exterior and interior helps ensure that R7 offers the most beautiful aesthetics and makes it the ideal addition to homes of all ages, period or otherwise. The sightlines are also immaculate and give R7 the symmetry it needs to exude enduring elegance. Residence 9 has been specially and carefully developed to replicate traditional 19th Century timber window designs. Amalgamating a sophisticated flush exterior with a chic interior has resulted in a hugely appealing offering. Performance-wise, R9 far exceeds the usual benchmark as it has been subject to the most inventive design processes. We’re very proud that Residence 9 has been designed and manufactured in the UK by some of the country’s most meticulous minds. 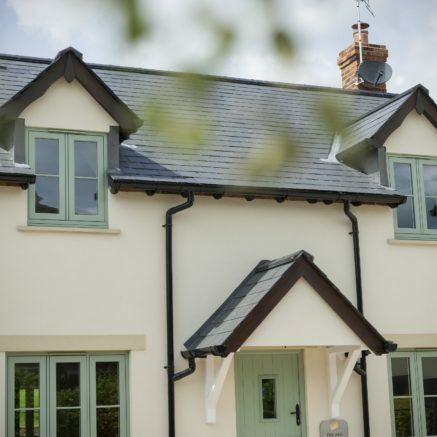 It is influenced by some of the UK’s most impressive architectural feats and can be supplied to your exact requirements so that it effortlessly complements where you reside, whether that be in a stately home, Victorian house or new-build abode. Residence² has a flawless squared design and possesses the boldness demanded by the modern household. Flush on the outside with an exquisite square detailing on the inside, it comes in a diverse mix of styles and maintenance-free finishes. The 9-chamber design and unmatched features included in Residence² make it an incomparable solution. Another highlight of this spectacular design is the deep square edging on its interior, helping to make it the definitive modern designer window. The Residence Collection is comprehensively showcased on its own dedicated website where you can get a more in-depth understanding of the countless possibilities with the Residence 7, Residence 9 and Residence² window and door systems. There is also the facility to pinpoint your nearest Residence Collection Premium / Recommended Installer should you wish to invest in these high performance windows and doors.